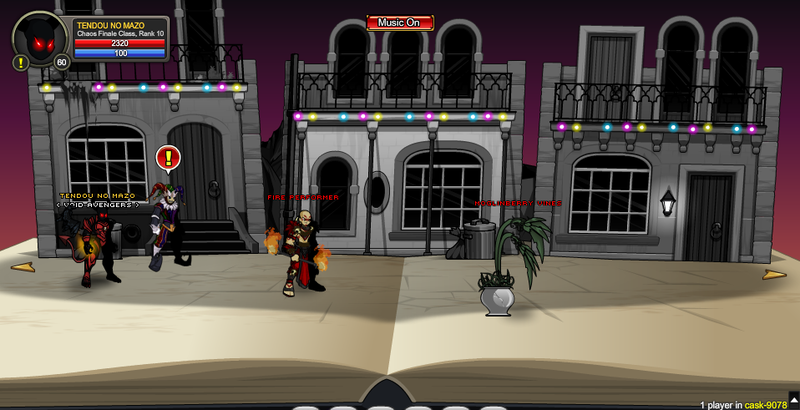 Note: Montresor Jester (Temporary) can be equipped by clicking on the "Party Costume" button at Screen 1. Note: Must have completed the 'Glow with the Flambeaux' quest to access this screen. Note: Must have completed the 'Nitre Fighter' quest to access this screen. 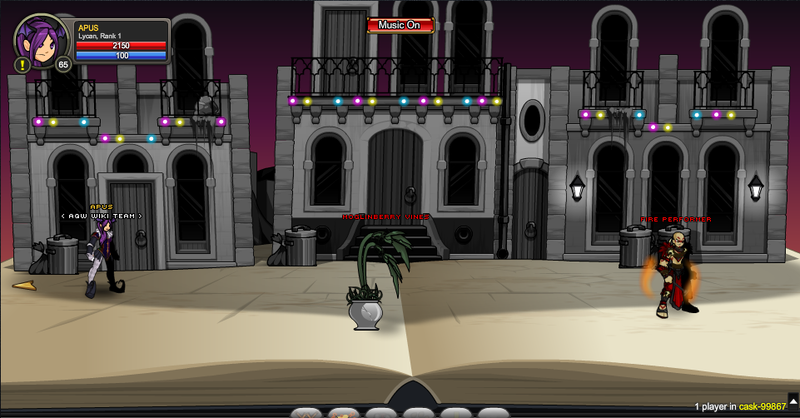 Note: This screen is only accessible by going left of the Bone Terror screen.